I’ve written about my days covering music festivals many times before. It was my first foray into the world of blogging and it gave me enough stories to last a lifetime. It also taught me a lot about what it means to be a blogger. 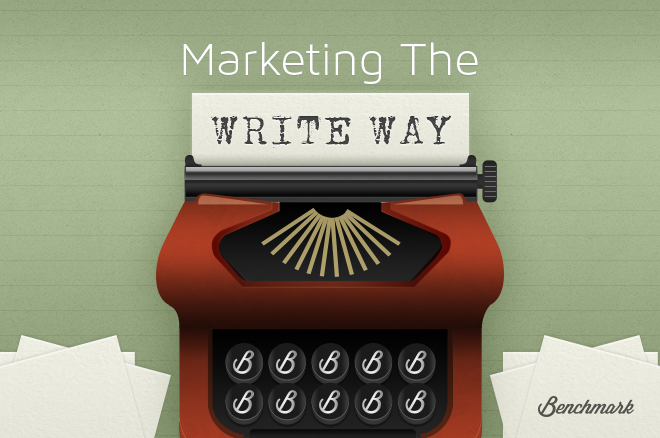 In honor of this week’s series, Marketing the Write Way, I wrote the Benchmark 5: Lessons I’ve Learned as a Blogger. Fake it ‘til you make it. I felt like I was doing someone else’s job pretty much the entire time I was covering my first music festival. If you act like you belong there, nobody will question you. Play the part and eventually you’ll realize you’ve been a blogger the whole time. Break the mold. There was dozens, if not more, sites posting straight reviews. By using Gonzo journalism, we brought ourselves into our reviews and wrote about our experiences. People wanted to follow our adventures, not just read about the festivals. It’s what set us apart. Find out what separates your blog. There are people reading your posts. Sometimes when you’re at home sitting on your couch and writing on your laptop (yes...even from my parent’s house...stereotypes!) it’s easy to forget that your posts are living in a public space. I once wrote a review about how Slightly Stoopid was so boring at a music festival, that I understood why hippies played with devil sticks during their set. Their fans were not amused. The endless stream of inflammatory comments was a reminder that there are eyes on your blog, whether you realize it or not. Make friends. We met all sorts of other bloggers at our first festival. Some of them I am still in touch with today. Don’t think of your fellow bloggers as the competition. There’s enough room on the Internet for everybody. You never know where there will be an opportunity to send one another traffic, guest post or cover something that doesn’t necessarily fit for their audience. It’s not just a blog. No. It’s also your social media channels, YouTube videos, email newsletters, a podcast and more. At least it should be if you’re doing it right. The more channels you have for readers to find you, the more traffic you’ll bring to your blog.